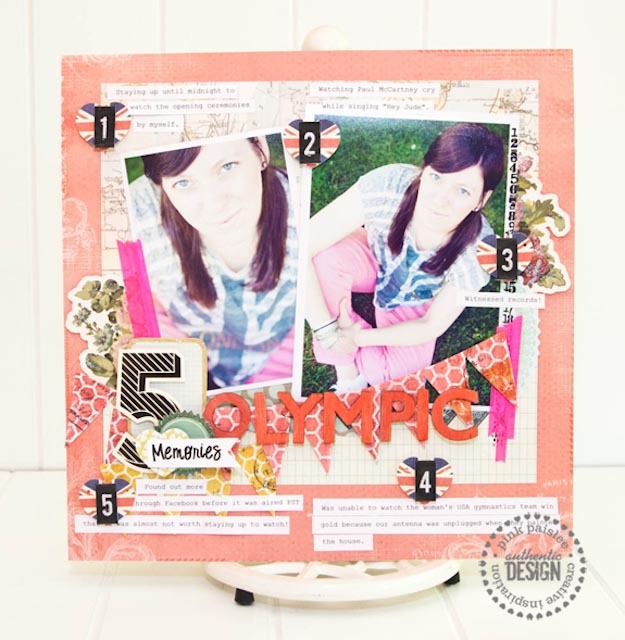 Today, you can visit the Pink Pasilee blog to see how I created this layout using numbers and Pink Paislee's Mistable Paper Pack. It is one of my favorite new layouts. For those times when I don't have a lot of pictures or a full story to tell, I like to make a list on my page with numbers like I did here. Have you recorded your Olympic memories yet? Living in the Pacific Northwest, it was hard to stay up to watch the games every night. In fact, all I had to do is go to Facebook and everyone was posting the results anyway. ;) But, I have to admit, there was nothing like watching history in the making and I am glad for what I did get to see. It was memorable and I wanted to make sure I recorded those memories before they were forgotten. Create Well: Don't have a lot of pictures or a full story to tell? Make a list on your page with numbers.